Take it easy out there, everyone. 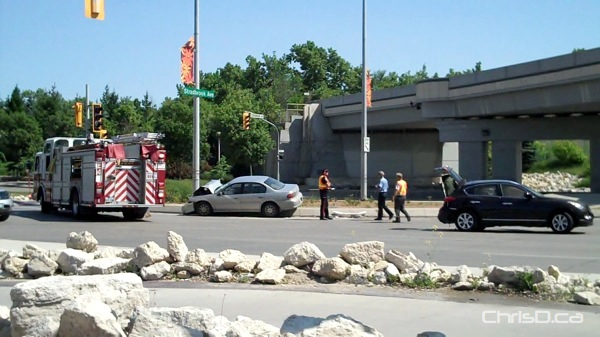 A ChrisD.ca reader captured this shot of a motor vehicle accident at the corner of Stradbrook Avenue and Main Street on Wednesday afternoon. As no other media outlets picked up on this, chances are all of those involved were fine.